attractive interest rates and flexible term periods. Check interest rates directly in App. Interest rates are updated regularly. Put your money aside from 1 – 18 months and get competitive rates for each term. Split your TDs into smaller amounts. Withdraw some early without a penalty. calculate the applicable interest rate. How to withdraw from my Term Deposit? It's easy. Step 1: Sign in to Timo. Step 2: Select the Term Deposit. Step 3: Select Term Deposit you want to redeem, select Withdraw. https://timo.vn/wp-content/uploads/2018/03/header-logo.png 0 0 zodinet https://timo.vn/wp-content/uploads/2018/03/header-logo.png zodinet2018-06-14 16:02:022018-06-14 16:02:02How to withdraw from my Term Deposit? How to find the interest rate for Term Deposits? You can find the Term Deposit interest rates in the Term Deposit section of the app. At the Home screen, swipe left on TD and select the interest rate table. This interest rate is the online interest rate from VP Bank and is updated every day. https://timo.vn/wp-content/uploads/2018/03/header-logo.png 0 0 zodinet https://timo.vn/wp-content/uploads/2018/03/header-logo.png zodinet2018-06-14 16:01:132018-06-14 16:01:13How to find the interest rate for Term Deposits? What is the Term Deposit interest rate? Interest rates for Term Deposits are competitive and based on the online rate from VP Bank which is updated daily. You can check this daily in the Term Deposit section of the Timo app. https://timo.vn/wp-content/uploads/2018/03/header-logo.png 0 0 zodinet https://timo.vn/wp-content/uploads/2018/03/header-logo.png zodinet2018-06-14 14:57:572018-06-14 14:57:57What is the Term Deposit interest rate? Timo Term Deposit is basically a savings account with a fixed term. But the Timo Term Deposit is more intelligent and efficient. 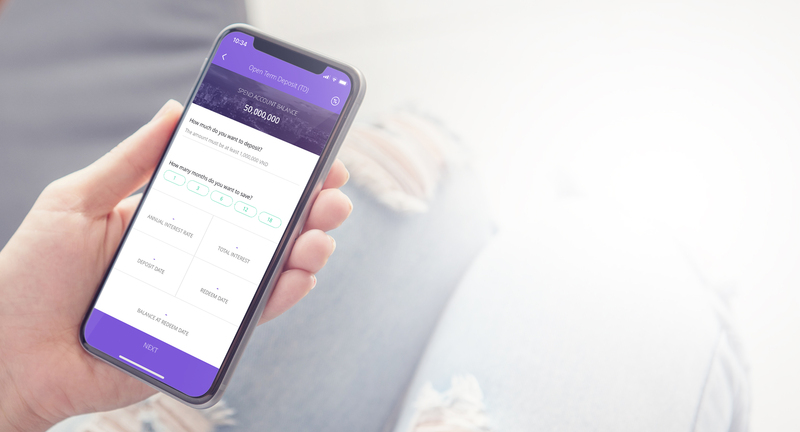 It helps you easily create and track your savings right in the app and interest rates are transparent and regularly updated. In addition, you can split your Term Deposits into 4 smaller ones so even when you withdraw 1, you continue earning interest on the remaining 3 TDs. https://timo.vn/wp-content/uploads/2018/03/header-logo.png 0 0 zodinet https://timo.vn/wp-content/uploads/2018/03/header-logo.png zodinet2018-06-14 14:45:532018-06-14 15:57:24What is a Term Deposit?